Our accident injury lawyers can help you in many different ways. Most people don’t realize all the different ways that lawyers can help to make your case that much more compelling. Of course, the most important way that attorneys can help your case is, well, through being attorneys. We’re genuine professionals. We’ve been through this many times before. Over the years, we’ve taken on the biggest insurance companies and others, winning enormous compensation for our clients. Now, should you need us, we can do the same for you. A vehicular accident is a terrible thing. In just a (literal) blink of an eye, lives can be changed forever and ever. It’s important to point out that our accident injury lawyers aren’t just “car accident attorneys.” While many of our cases involve car accidents, that’s by no means all that we do. We’ve dealt with so many motorcycle accident cases as well. Bicycle accident cases are something that we’ve been helping clients to win more and more. Should you have been in an accident in a vehicle and it wasn’t your fault, we’d love to have you come in for a free consultation. Every case is different. Your car accident case may be completely different from someone else’s car accident case. Different laws, rules and regulations could apply. Of course, that certainly goes for any motorcycle accident cases, too. Bicycle accidents are so different from either of those, and big rig/semi truck accident cases are even different from those. 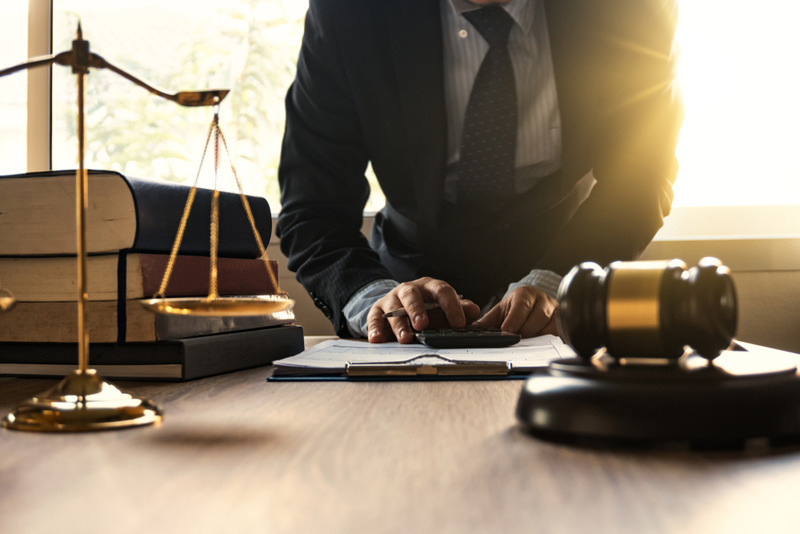 One of the many things that sets us apart here at the LA Injury Group is that we have attorneys that specialize in all different kinds of accident cases. So, when you come to us, you’re guaranteed to get accident injury lawyers that have experience with your particular kind of accident. You won’t get that at many firms. Too many other law firms just say they have “accident attorneys,” and then when you sign with them, you discover that the “experience motorcycle accident attorney” has never actually handled a motorcycle accident case in their life. Of course, they’ve done plenty of car accidents, but that just isn’t the same. Here, you get specialized, individual attention from someone who knows the laws around your case, inside and out. Those years of experience our accident injury lawyers have give us unique insight into how you can help your own case. The moments after a car accident can be excruciating. It can be so hard to keep your head while so much is going on. That’s why we try to make it easier by laying out in these blogs what you should do when you’ve been in an accident. That way, when the time comes, you could be more prepared than you might have been otherwise. If you have any more questions about the accident process, feel free to contact us. Unless you really have to for safety, we recommend that you don’t move the vehicle after an accident. It doesn’t help your case, your health, or anything else. The exception, of course, is if your vehicle is in continued danger. Should your accident leave your vehicle on the edge of a cliff, or in a busy highway, road or intersection, then by all means move it. In fact, you should do everything you can in those moments to move your vehicle, once you’ve ascertained that you’re safe. Remember: some of the most dangerous moments in a car accident are the ones right after the car accident. Two cars colliding is an accident, but those moments right after can lead to worse. People can see the cars and try to swerve to get away from them, leading to further problems. Maybe someone turns their head to look at the accident and loses control of their own vehicle, causing another accident. Those are just some of the reasons that, should you be able to do so, moving your vehicle out of harm’s way after an accident is the right course of action. That being said, if your vehicle isn’t in continued danger, or creating an unsafe situation, we recommend that you don’t’ move it. When you call the police, they’re going to want to look at the crash site. They’re going to investigate everything, and if you’ve moved the vehicle, that can damage some of the evidence. Worse still, it can make it look like you did so intentionally. As you know, the last thing you ever want to do is give the insurance company more cover to make a wild accusation; or give them one more reason to deny you the compensation you deserve. Unless you have to, leave your vehicle where it is. Of course, when the police officer arrives on the scene, tell them the truth and listen to them. In most places, the police won’t do a formal “police report” unless someone is hurt. That being said, if you feel like you’re hurt, even a little bit, you should call for medical attention. That way, there will be a police report, and moreover, the medical professionals will document your injuries back at the hospital or other medical facility. It may feel awkward, it may feel weird, it may feel like overkill – but if you feel even a slight injury after an accident, get appropriate medical attention. That can be hard for some people, but you want to do it. The reason isn’t just because it may get rid of the little pain you have in the moment. The main reason is that it may keep you from having much worse pain later on. Many people don’t get medical attention after a car accident, believing that they’re fine. They think that because they can walk away or that their injuries “really aren’t that bad” that they don’t have anything to worry about. This is a bad way to go about business, and can lead you to much worse problems later on. Studies have shown that some of the worst injuries from car accidents appear long after the accident is over. Think of it like what we said earlier about the car accident: some of the worst injuries occur after the initial car accident. In a way, it ties to the way your body feels after a car accident. To you, it may feel like you just have a slight twinge in your hand. However, you may not know that it’s really a bone that’s been weakened to the point where it’s just about to break. That’s probably the kind of thing that could be found with an X-ray and a complete medical evaluation. Hence, this kind of scenario is all the more reason to go to a medical professional. And always remember: not getting medical treatment is the sort of thing that an insurance company loves to bring up later on. They’re just chomping at the bit to be able to say something like: “you would’ve gone to the doctor’s if you were really hurt. So, you must not have been hurt and we certainly don’t owe you any compensation.” That will, of course, be absolutely wrong, but why give them the chance to make this argument? When you get the kind of appropriate medical attention you should after an accident, you protect your body, your health, as well as your potential compensation. The next step after getting that medical attention is contacting our accident injury lawyers. We can help you from there to the next step, all the way through the completion of your case. When the insurance company calls, we’ll be there so that they stop bothering you. We know there’s nothing easy about the car accident process, but when you bring us on your side (by calling us at (818) 210-4558 or going through our site) we can make it a bit easier.